On Sunday, August 5, 2018 the UTS awarded 14 students scholarships at a ceremony at Frick Fine Arts Auditorium on the University of Pittsburgh campus in Oakland. On Sunday, July 30, 2017 the UTS awarded 14 students scholarships at a ceremony at Frick Fine Arts Auditorium on the University of Pittsburgh campus in Oakland. Left to right: Katarzyna Goebel, Allison Cross, Michael Yourstowsky, Yaryna Korenovska, Dmytri Rakovan, Kateryna Kocelko, Kateryna Czuczman, Alexander Lischak, Alexander Popichak. Not pictured: Nicholas Hladio, Michael Kochis, Juliana Kochis, Mikaela Kapeluck, Nicholas Spak. On Sunday, August 7, 2016 the UTS awarded 15 students scholarships at a ceremony at Posvar Hall on the University of Pittsburgh campus in Oakland. Front row (l-r): Nikolai Goebel, Katarzyna Goebel, Allison Cross, Victoria Diana, Matthew Yourstowsky, Christina Pierko. Back row (l-r): Maria Kalymon, Paul Yasnowski, Kateryna Czuczman, Andrew Sywy, Ostap Lernatovych, Ostap Lutsiv, Nicholas Patoray. Not pictured: Juliana Kochis, Michael Kochis. 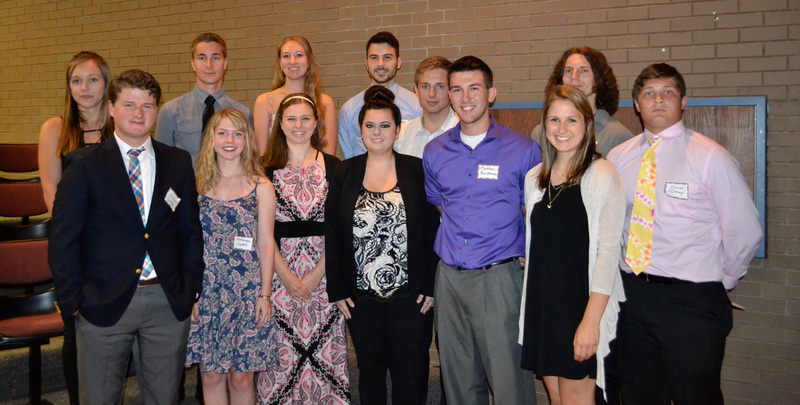 On Sunday, August 3, 2014 the UTS awarded 10 students scholarships at a ceremony at Posvar Hall on the University of Pittsburgh campus in Oakland. On Sunday, August 4, 2013 the UTS awarded eight students scholarships at a ceremony at Posvar Hall on the University of Pittsburgh campus in Oakland.